Have you just been served with divorce papers? 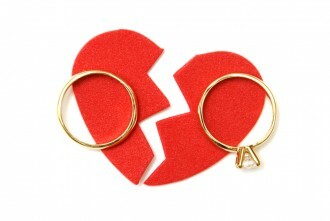 If so, here’s what you need to do to respond, trusted Littleton divorce attorneys explain. Have an opportunity to respond to (or answer) the complaint. Your response will effectively tell the court that you either agree or disagree with what your spouse (i.e., the divorce petitioner) is requesting in the divorce. It will also be your opportunity to explain what you want out the divorce (in terms of, for instance, property division, custody arrangements, etc.). Given that this can be an important step in the process of dissolving a marriage, below, we’ll provide an overview of what you need to do in order to properly respond to divorce papers. 1 – Reading the divorce papers. Before you can develop an appropriate response to the divorce petition, you first have to know what your spouse is requesting (so you can figure out if you agree or disagree with some or all of these requests). This step can be important to take with an attorney – especially if your spouse had a lawyer’s help developing the divorce petition – because you want to make sure that you address every point of contention you may have with the initial divorce petition. This can set up the framework for what issues will be central to your divorce moving forward. 2 – Completing the response form. The specific court form that will need to be completed will be Form JDF 1103, Response to the Petition for Dissolution of Marriage or Legal Separation. When filling out this form, you will be the “respondent,” and your spouse will be the “petitioner;” additionally, the case number will need to be added to the form. 3 – Serving your spouse with the response. Once your response has been completed, make a copy of it, and have your spouse served with this copy. This must be done before you file your response with the court, and you will need a Certificate of Service to prove you have completed this important step. 4 – Filing your response with the court. Specifically, you need to file your response with the same court that your spouse filed the original petition. At this time, you will also have to pay the associated filing fee – and you may need to complete additional paperwork (depending on the nature and issues of your case). Given that this first step in the divorce process can be complicated enough, it’s best to retain an experienced divorce lawyer ASAP after being served with divorce papers. Are you ready to proceed with a divorce? If so, it’s time to contact the experienced and skilled Littleton divorce attorneys at Bahr & Kreidle. Since 1983, our Littleton divorce attorneys have been dedicated to vigorously defending our clients’ rights and interests to help them favorably resolve their important family legal issues.